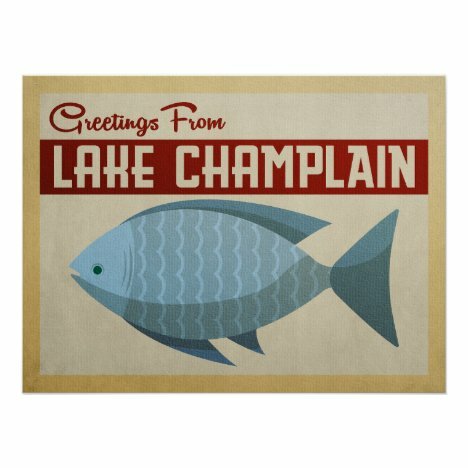 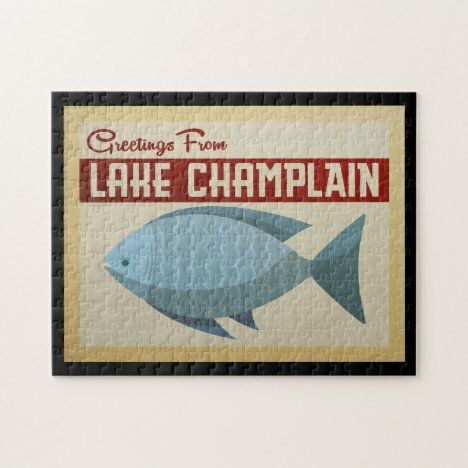 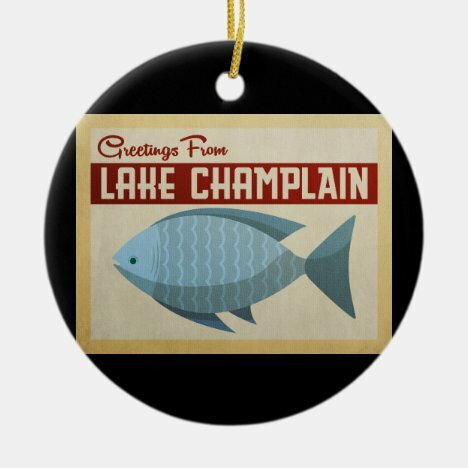 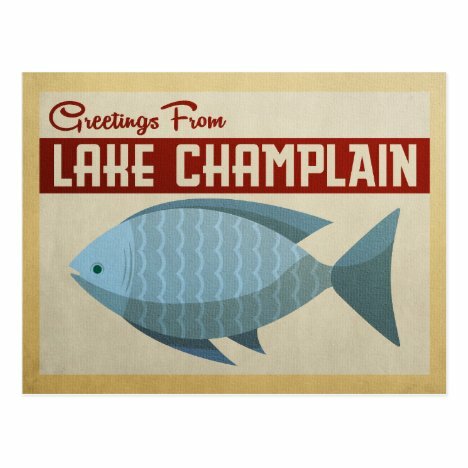 These stylish Greetings from Lake Champlain gifts boast a cool vintage blue fish with red accents and summer camp style text. 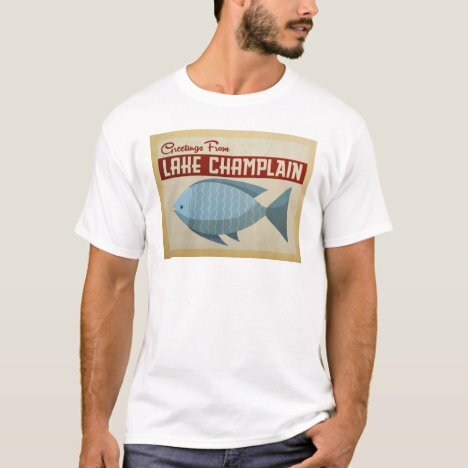 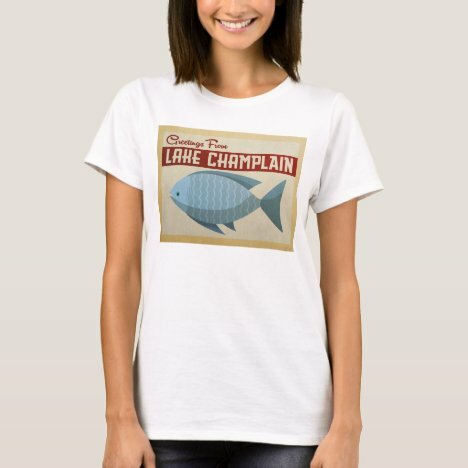 Lake Champlain souvenirs are available on a swell collection of gift items: Lake Champlain coffee mugs, postcards, posters, jigsaw puzzle, ornaments and Lake Champlain shirts. 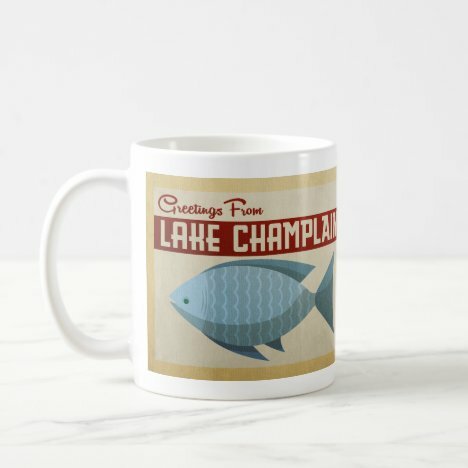 When you’re done fishing or swimming at the lake, you can find these at Flo’s Paperie.